Mary Ann Fraser is the author/illustrator of 60 fiction and non-fiction books for children. Her latest picture book, Alexander Graham Bell Answers the Call (Charlesbridge), was published in August. Fraser is also the Regional Advisor for SCBWI’s Central-Coastal Region. She talks to Kite Tales about her prolific career and shares lessons learned over the years. Erlina Vasconcellos: Congratulations on your new book, a nonfiction look into the childhood of Alexander Graham Bell. How did you choose him as the subject? Mary Ann Fraser: First, thank you for the opportunity to share my journey toward this latest book. As always, I am so grateful for the support and encouragement of my friends and peers that make up this amazing community we call SCBWI. In 2012 my husband and I visited the Alexander Graham Bell Historic Site in Baddeck, Nova Scotia. I was amazed at Bell’s endless curiosity, inventiveness, and desire to help others, particularly the deaf, and was struck by how his life’s work seemed inevitable from the time he was a young lad. His mother was deaf and his father and grandfather were speech therapists. At the museum bookstore, I asked if they had any picture books on Bell. The cashier said they didn’t but wished they did. That’s when bells (excuse the pun) started ringing, and I realized I had my next project. EV: After 60 books, how do you stay inspired and keep things fresh? Is your method for generating ideas different from when you began? Ashlyn Anstee is a story artist at Nickelodeon on Harvey Beaks as well as the author/illustrator of Are We There, Yeti? and No, No, Gnome! (Simon & Schuster, 2015 & 2016), a comic artist, film maker, and devourer of cookies. She talks with us about finding her agent through SCBWI, how professional relationships are just like any other relationship, and how she keeps her skills sharp. 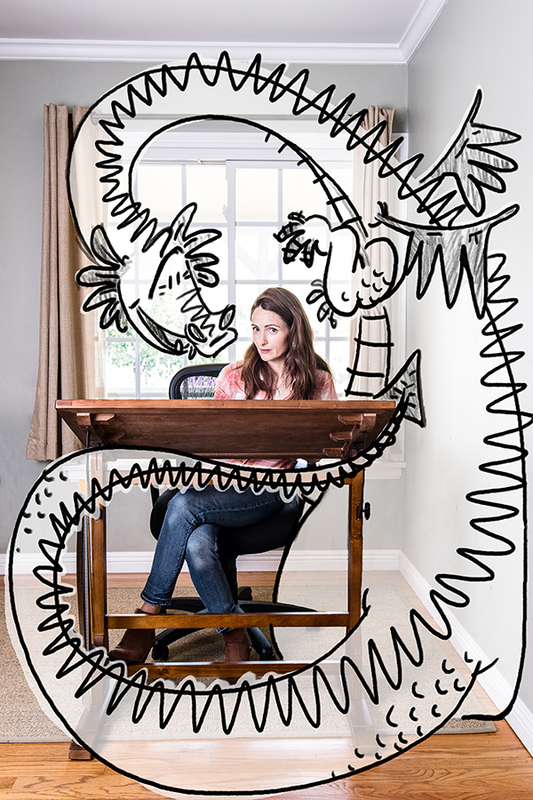 Sarah Parker-Lee: You’re an illustrator, author, and storyboard artist for animation. Which came first and how do you find time for both?! Ashlyn Anstee: It helps that all of them are a little different, so it’s actually been fun to jump between them, thank goodness. I started out first as a reader–I was a voracious reader as a kid (and my mom’s a teacher-librarian). I didn’t really start to draw until my teens. I fell in love with animation, and it wasn’t until I graduated from college that I started to rediscover illustration and kids’ books. I find writing the hardest, so I’ve been focusing on that, lately! Author and SCBWI member Lynn Becker reports on this year’s Writers & Illustrator’s Day.